Golden Boy Promotions and CEO Oscar De La Hoya has rejected the 50-50 purse split request from IBF/IBO/WBA/WBC middleweight champion Gennady ‘GGG’ Golovkin for a fight against Saul ‘Canelo’ Alvarez in September, and now they’ve moved on and have made an undisclosed offer to former IBF 160lb champion Daniel ‘Miracle Man’ Jacobs (34-2, 29 KOs). This isn’t an easy fight for Canelo, because Jacobs is a much bigger and stronger fighter, and he does well against short, stocky fighters. Canelo is only 5’8”, and he might not have the size to beat Jacobs. However, with the way fights are scored in a subjective manner, the judges might give Canelo the nod against Jacobs. Canelo really doesn’t need another controversial decision, but they’ve been a part of his career for the last five years. Jacobs would be smart to try and knockout Canelo so that he doesn’t wind up suffering the same fate as Golovkin, Austin Trout and Erislandy Lara. They all appeared to beat Canelo and yet none of them were given the victory. Eddie Hearn of Matchroom Boxing USA, who promotes the 31-year-old Jacobs, says he knows the value for his fighter and he’s looking to get a better offer than the one that Golden Boy gave him. 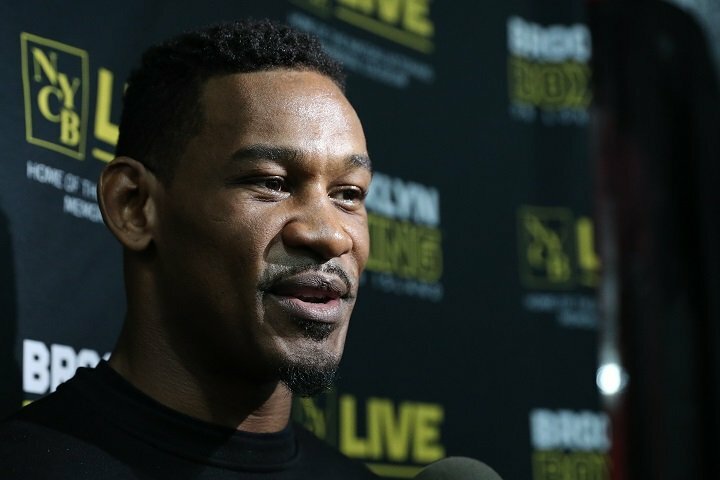 Hearn believes that the Canelo-Jacobs fight will do big pay-per-view numbers. De La Hoya believes that as well, saying that he thinks it’ll do 800,000 buys. However, De La Hoya has wrong in the past, most notably when he predicted that Canelo vs. Amir Khan would do well over 1 million buys. The fight brought in only 600,000 buys. If Hearn turns out to be correct about Canelo-Jacobs bringing in huge PPV numbers as he predicts, then we may never see Canelo-Golovkin II. Huge PPV numbers for the Canelo vs. Jacobs fight will strengthen Golden Boy’s resolve to not give Golovkin the 50-50 deal for the rematch. Considering that Golden Boy only gave Golovkin a 70-30 offer in their fight last year in September, it’s highly unlikely that they’re going to give Daniel Jacobs even that figure. 30 percent split is woefully bad, and it’s hard to see Hearn agreeing to even that number. Golden Boy will likely be looking to get Jacobs at 75-25 or even 80-20. In negotiations, it’s not what you’re worth, it’s what you are your management bargain for. In Golovkin’s case, his promoter didn’t do a good job negotiating the first fight with Canelo, and then he made the mistake of agreeing to a 65-35 split for the May 5th rematch. Giving Canelo and Golden Boy that much of a wide purse split likely setup a situation where De La Hoya would never agree to a 50-50 deal or even close to that for the Canelo-GGG rematch. Golden Boy is said to have increased the 65-35 offer to Golovkin to 60-40, which is still a poor split, given that Canelo appeared to lose the first fight in the eyes of the boxing fans, and then he tested positive twice for clenbuterol last February. ”We have a guy in Daniel Jacobs who, in my opinion, beat Gennady Golovkin but in anybody’s opinion had a wonderful fight with Golovkin which many couldn’t split. In that respect, I see Jacobs as the perfect guy to fight Canelo,” Hearn said. For the record, Jacobs lost to Golovkin last year in March, and no, he didn’t appear to win. Jacobs clearly lost the first 6 rounds of the fight by moving too much and getting knocked down in the 4th. Most of the last six rounds of the fight were very close. Golovkin appeared to win 3 of the last 6, but the judges gave Jacobs 5 of the last 6, which was very generous of them, because he didn’t appear to win all those rounds. The fight took place in Jacobs’ hometown of New York. This was another mistake GGG’s management made. They shouldn’t have agreed to fight Jacobs in New York, and they were lucky they didn’t wind up losing the fight. De La Hoya says the Canelo vs. Golovkin rematch can take place next year in May 2019 on Cinco de Mayo holiday weekend. However, it’s quite possible that the fight won’t take place if De La Hoya and Golden Boy aren’t willing to give GGG the 50-50 split that he’s asking for. If Golovkin wins his next two fights in 2018, he’ll be in good position to ask for and receive the 50-50 split from Golden Boy for the Canelo rematch next year. It’ll depend on how he two fighters look in their next two fights in 2018. Golovkin plans on fighting in August and then in December. He could be facing Sergiy Derevyanchenko, Billy Joe Saunders or Ryota Murata. As for Canelo, it’s possible that his next two fights in 2018 will be against Jacobs and Gary ‘Spike’ O’Sullivan.